Over the past 12 years, the Hesketh family, friends, and fellow stewards have hosted field days showcasing how the ranching community can work to protect and enhance the environment through promoting sustainable and innovative land management practices. Inspired by the story of "The Legend of Shuswap Falls" Lee invites you to attend this year's tour and jollification. Click here for Agenda (times & places). A long , long time ago when the world was young and fresh, before hatred, greed and strife entered, and all was peace and happiness, and all animals lived harmoniously together, the bear, elk, fox, Coyote and all animals and birds were ancestors of human beings. Coyote lived in a lovely but lonely place far away from everyone, where he had no one with whom to speak or play or feast. At last he became very lonesome and made his mind ever afterwards to break the monotony and invite all his friends once a year to a great feast and jollification. So he set himself to work and built a great rapid and gave it the name Shuswap Falls. Then he made a big kettle out of stone with legs under it and hung it over the Falls. Over this he constructed a fish trap, also out of stone where he could catch many Salmon and boil them in the Big Kettle. Then Coyote made a seat for himself out of stone beside the falls where he could watch the fish being caught and being cooked, and also where he could talk with his old cronies and at the same time see the sports and watch the feasting. Coyote could distinguish who was coming as his friends called out to him on their way, accepting his invitation. He was overjoyed , running round and round to catch his tail as he heard the bawl of the Grizzly, the howl of the Timber Wolf , snort of the Elk , the hoot of the Horned Owl, the chatter of the Kingfisher and all the other voices he knew. Soon they were all assembled and great was the astonishment and rejoicing when they beheld the wonder the Coyote had wrought and the provisions he had made for their entertainment. It was a busy time, what with the feasting and the sports which lasted a fortnight with camp fires burning brightly by day and by night, until all were dead tired, and the time came to depart. Then all shook Old Coyote by the hand with grateful hearts for his hospitality. They all promised to come again when the fir trees were busting into bud. So all went home happy. Now all this happened a very long, long time ago . And to this day when the firs are in bud each spring, the hillsaround Shuswap Falls still echo the invitation call of the Coyote and the answering call of Coyote’s friends, and thecampfire lights reappear. Wise people say this is only fancy, but we know better. Such is the legend of Shuswap Falls as narrated by the old folks of the Okanagan tribe and translated from the Okanagan dialect by Mrs. William Brent, Okanagan Historical Society 12th Report, 1948. The Wilsey Dam Fish Passage Committee which I sit with over the past 10 years presented a report to the BC Hydro Fish and Wildlife Compensation Program on best approaches for restoring salmon passage above Shuswap Falls in May 2018. They have now endorsed our recommendations moving the fish passage process ahead to BC Hydro management for economic and environmental evaluation and hopefully approval sooner than later. The dam was built in 1929 blocking fish passage. We have a good news story waiting 89 years to be told. My family's ranch having the Shuswap River run through it and being in close proximity to the dam have always been aware of its influence on the watershed both good and bad. I personally startedasking questions on why salmon weren’t being returned to the upper river in 1975. The tour will involve looking at the falls and hydro dam in the morning portion of the tour. The site is always spectacular but should be even more special as the sockeye salmon will be starting to return below the dam. At lunch, we will move the tour up river to 1010 Shuswap River Drive or my backyard.. From there we will do a hayride / walking tour along the ranches river corridor observing the biodiversity that calls the ranch home. I will also have some fellow stewards provide words of wisdom around resource management encouraging dialogue from tour participants. The tour will start to assemble at 10:00 o’clock at the Mabel Lake Hall for coffee and organizing possible car pooling. Then moving over to the Shuswap Falls Recreation Site at 10:30 until noon were we will be viewing the falls and updating everyone on possible fish passage. 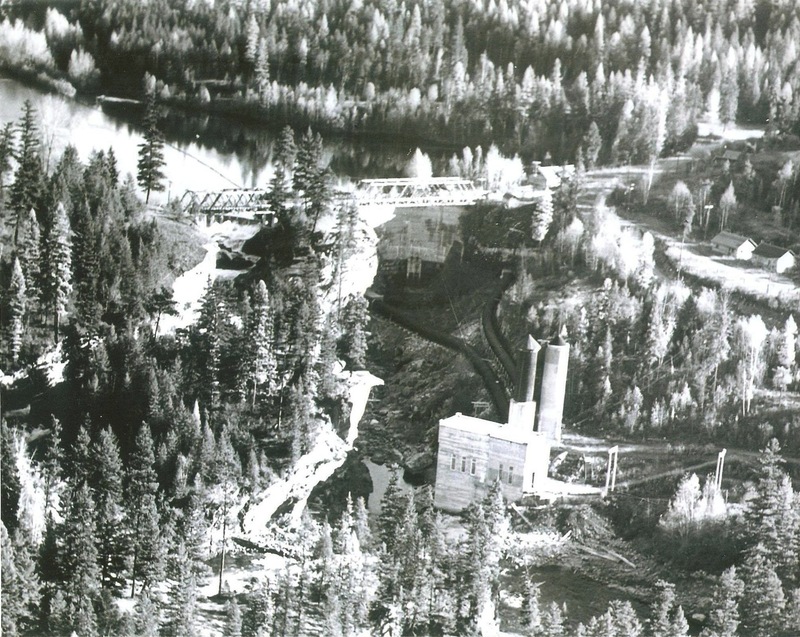 For directions to the site and information on the dam check out: https://www.bchydro.com/community/recreation_areas/shuswap_river.html. If you are interested in attending please fill out the registration form below. This is a free event but since there are logistics of touring people it would be good to know who is coming. The greatest value of field days and conferences comes from the opportunity to meet and socialize with people with similar interests but different backgrounds and fields of expertise. This field day promotes a hats off approach and encourage individuals to relax and enjoy the company of others while sharing ideas and about positive change in our common interest, the environment. Fresh air is guaranteed so dress for the weather. Things wrap up back in my yard at about 4:30 for those needing to head back to civilization. If you decide to stick around Friday evening. For those wanting to stick around, we will be having a campfire (weather permitting) and communal dinner and some entertainment either at the hall or in my backyard dependent on weather conditions. As always, since we have a large backyard, those of you from out of town wanting to tent, RV or sleep under the stars are welcome to do so. What I won’t be responsible for is showers or meals the next day. Remember, this is field day promoting sustainability so please be prepared to sustain yourself! I will have free , coffee, firewood, a back channel to swim in, a few picnic tables and portable outhouses available but no power or water hookups. While you may be receiving this invitation in a work capacity, the reason I host it on a Friday is to allow individuals to bring friends, family or associates who might add to the conversation and appreciate the rural perspective. Since some of us might be staying up late Friday night, Saturday morning will be free time for those staying over to sleep in, drink coffee, and to relax and socialize some more. At around 12:30, for those with some energy, we will be heading up on the range to check out the view of Cherryville returning around 3:00. Again we will have informal dialogue on the value of stewardship.